We have all been taught about the commonly known forces of nature like Frictional Force, Tension Force, Electrical Force, Magnetic Force and Gravitational Force. These are forces that exists largely unseen but constantly felt or experienced. The forces are so much a part of our lives that these things were not recognized individually and categorized as forces until relatively recently in human history. Newton didn’t discover gravity per-se but he did identify it and quantify the force so that it could be mathematically modeled and studied. Now I believe I have identified a new force of nature. It is a force that affects all of our lives in an unseen way but we constantly feel and experience this force. There are indicators within the force that can be studied and predicted. It exerts itself perpetually and invisible just like gr avity and magnetism. I call this force the Force of Bureaucracy (Fb). This force is created when decision making and problem solving rises up beyond the individual level into growing groups of individuals who come together to make decisions and solve problems. The force seems to grow exponentially as the numbers of individuals who are brought together to effect a single action grows. In other words, the larger the government, corporation, religious, or philanthropy group gets is the larger the Fb on that group. There becomes a time then the momentum created by the Fb becomes greater than the ability of any one person can control. The insidious thing is that there is an illusion of control over Fb in the same way a helicopter gives a person the illusion of control over gravity. Being able take off from the ground feels like you have broken the bonds of gravity, when in reality there is no where you can go in the entire universe where gravity is not an influence in some way. 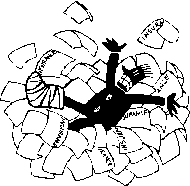 In governments, corporations, religious, or philanthropy groups there is no way to escape the Force of Bureaucracy as it increasingly gains a momentum of its own. That momentum starts to force the growing endeavor to behave in ways that defies logic and can even make an organization as a whole behave in ways the individuals that belong to the organization would never want. My writing time has been consumed by the Force of Bureaucracy for the past three years since I became a supervisor in California State Government. My energies as a writer have been drained writing reports, recommendations and justifications to feed the ever present Fb. Recreationally, I still yearn to write creatively. The problem is that my daily experience involves trying to invent helicopters that can rise my organization above the Force of Bureaucracy. The daily experience is material rich, but it isn’t science fiction rich. I do have some gem ideas that could enter my science fiction writing someday, but I want to return my discipline from technical writing to creative writing. Since my mind gets focused on my daily work, I’ve decided to try creatively writing about what I experience at work and attempt to chronicle what it is that creates, influences and grows the unseen Force of Bureaucracy. I am going to try posting some essay’s on the things I observe and maybe I can make up a Dummies for Bureaucracy kind of publication. It’s an experiment so lets see how this goes. I know good reviews draw more people to your work so asking friends and family for more good reviews is supposed to make good business sense. However, the review features at places like Amazon are very helpful and I don’t want those reviews skewed by recommendations from anyone but honest users. That is why, for better or worse, I don’t solicit friends or family or anyone I know for reviews of the stories I self publish. Undoubtedly that is why I don’t have many reviews, but on the flip side, they are honest reviews from people whom I have never met. So these six reviews from my story, Mother, are great to see. Very different take on artificial intelligence. Truly believable. Could be a real encyclopedia of the future :). Thanks for the imagery. I picked this up for free, and honestly, I would have paid for it happily! This first chapter of the story sets up a very interesting scenario whereby a probe sent from Earth to look for life among the stars evolves/mutates into a sentient being as it attempts to accomplish its directive. This chapter encompasses a fair amount of time in the life of the probe and its slow transformation. It seemed the parts of the chapter dealing with the human elements of the story weren’t crafted with the same care. In any case, I’m going to splurge for the $1.99 for the rest of the story. Something different, worth the time to read. It has a slow start, but gets real good. I am interested in reading the rest of the series. Future space stories are so intriguing. I’m also grateful to anyone who might have read my stories and didn’t like them but also didn’t feel the need to low-rate them too. However if anyone who reads my stories on Amazon or the retailers like Barnes and Noble does have feedback about what can be improved in any of the stories published there, I would welcome the input. Just e-mail me at writtenwells@gmail.com. There is a new entry into the Encyclopedia of the Future. This entry describes the Twelve Actions of Indoctrination. It explains the actions that the Alliance of Worlds takes when a Non Alliance Species discovers that they are not alone in the universe. If you have read Mother or Preserving Humanity, then you know that humanity has become aware that life exists beyond our solar system. My next novel expands the story to include the Alliance of Worlds and their view upon humanity as a new NAS. I have completed my new short story Timeless Mission (use the link). The story is set at Mission La Purisima in Lompoc, California. 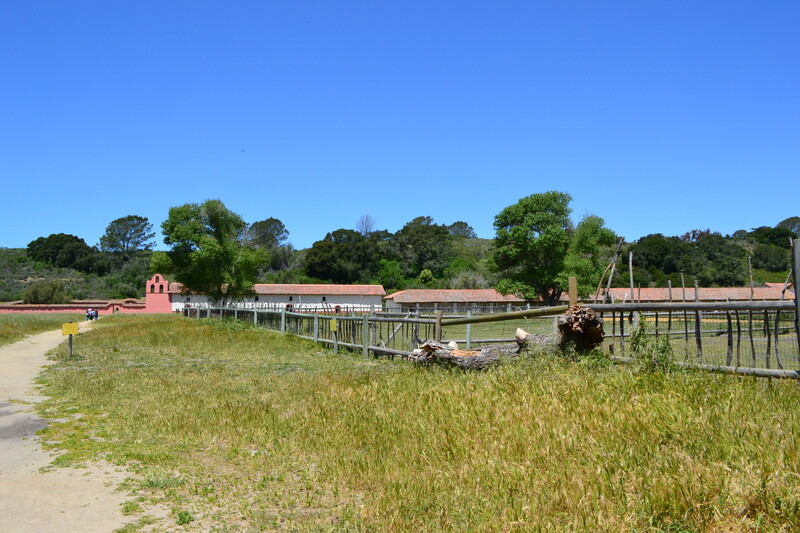 La Purisima is the only mission in California that remains as it was in the 1820’s. The feeling that you have been transported back in time when visiting was the inspiration for my story. I could have stayed home with my wonderful family this week satisfied my writing. I chose to burn up my frequent flyer miles and contend with the pains of traveling alone to come here and re-learn that I should never be satisfied with my writing. I have met some talented folks aside from learning from a very giving best-selling author. It hasn’t been easy. There is the challenge to learn more about the craft. There is the challenge of becoming more than an anonymous presence on the web. There is the challenge to write something that you know will be looked at and critiqued by someone who does this sort of thing for a very good living. Challenge accepted. I will walk away from this experience with a refreshed conviction to never be satisfied with my writing. Not in a self-destruction way of dissatisfaction, but in a growth way of seeking unattainable perfection. The Mormons of Utah are misunderstood for having a base conviction of becoming god-like. It sounds maniacal to the outside world. But humility is the cornerstone of this goal and no true Mormon believes they will ever become anything close to god-like; they just believe that striving for anything less is setting the bar too low. I therefore will strive for perfection in my writing knowing I can never achieve it, and that is what I am satisfied knowing. I have been through my first day of the Short Fiction Masters workshop. There was a lot to take in. I can’t say that there was anything said that I haven’t already intuitively understood, but there has been a wealth of details into the main themes of writing short fiction learned. I’m learning much more about the nuts and bolts of bringing a story to life and structuring it in a way to lead the reader slowly into the tale I want to put forth. I have the start of a new story now that has new twists I hadn’t imagined before arriving here. Now its on with day 2. I’m going to Utah today to attend a Short Fiction Master’s class taught by multiple award winning and best selling author, and Writers of the Future (WOTF) coordinating judge, David Farland. It’s exciting and nerve racking at the same time. I fly to Salt Lake City today and start the class tomorrow morning. Twelve hour days are promised, which for an architect, are baby days around a project crunch time. It will be a great chance to learn more about my writing. I have to admit that I have that little fear of ending up like one of those joke contestants on American Idol. I may impress my family and friends with my stories, but now I am going to be personally screened by on of the biggest names in writing. Preparation for the class has been to brainstorm a story that hasn’t been written yet. Since Dave is a WOTF judge, whatever story I do write won’t be submitted to the contest. That has left me free to try a short story idea I have had for years but never actually started. There is a California mission in Lompoc California that is the only original Spanish mission that has been preserved in a remote setting without having a town or city built around it. The entire place is like a moment in time frozen as it was in the 1830’s. Visiting this place is as close to time travel as one could really experience. So naturally I have a sort of Gentlemen in King Arthur’s Court kind of story idea that I haven’t penned. I’ve done a little research and tomorrow it gets started. Will I do the American Idol equivalent of getting up on stage and making a fool of myself? Or will I get the equivalent of a pass to the big show, with a nod of encouragement for the writing I do? Of course I can’ t dwell on the worst imaginings, I can only pass the time trying to distract myself from the nervousness. I do have a story to finish for WOTF. I’m not surprised to find out today that my Amazon Breakthrough Novel Contest entry didn’t make it past the first round, but that doesn’t mean I’m not disappointed. It was a weird experience this morning though. When the results first went up, I clicked on the Science Fiction/Fantasy/Horror link to see the results of my entry category. My name wasn’t on the list and my heart sank. Then I noticed that the names of books were odd. Then I noticed I was looking at the Mystery/Thriller list. I went back to the links and clicked on the Sci Fi link again and the Mystery list came up. So the Amazon link was off and my hopes went back up. But the initial sting was still there, so when the link was fixed, and my name was still not listed, the initial crush of disappointment had subsided by then. So the downside is that my pitch didn’t win, but I now have a book ready for publishing. I’m going to put some artwork together and format the book and make it available on Amazon and Smashwords. 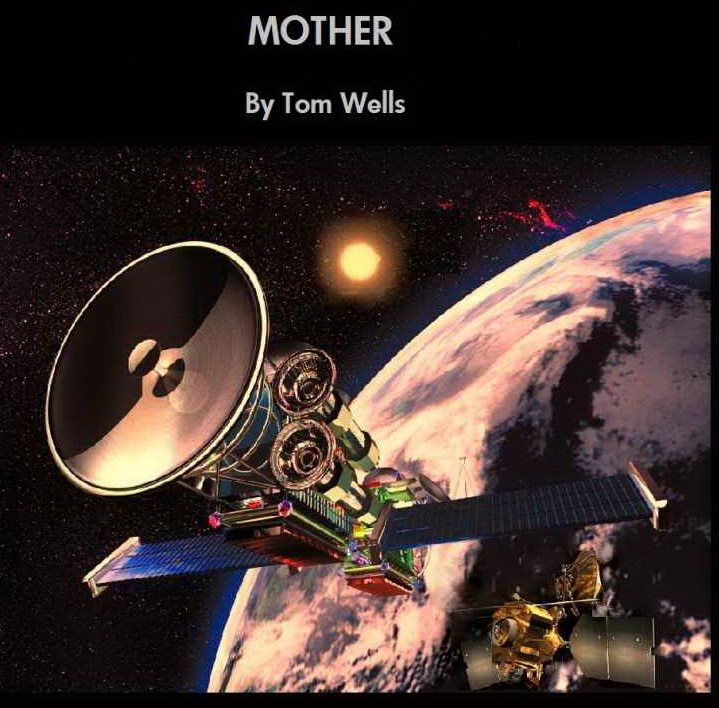 For those of you visiting my blog after reading the free Kindle version of Mother, you may be happy to learn that this book will be the expanded version of my original story, there is a lot more Seeker One in this story. I hope to have it up before the end of March. 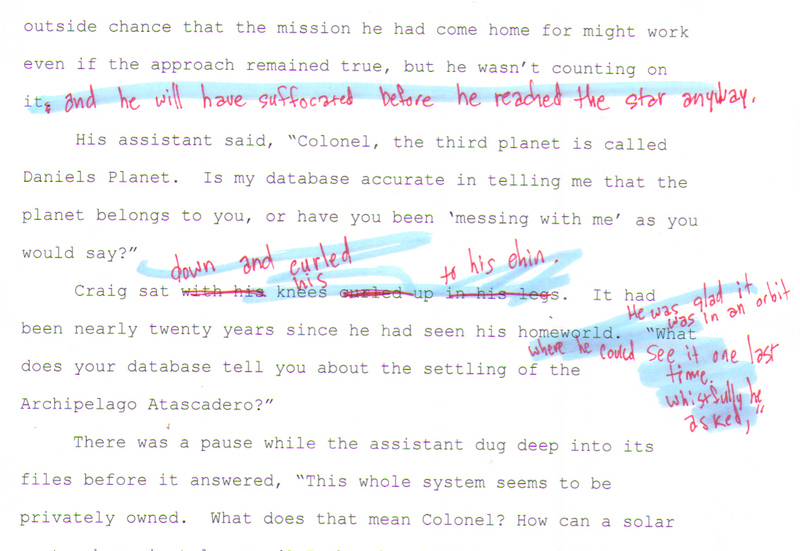 Editing is a critical part of story writing. It comes after the story has been written, but it is a lot like prep work for painting a room. To do it right, before you can paint you need to remove all of the furniture, then remove all of the outlet and switch plates. The window coverings and the hardware must go with decorations. Then you have to tape off everything and cover the floor. After a good two hours of work, the room looks like hell and you’re tired. But then the paint goes on. With just a roller and a brush the room is transformed in less than half the time it took to prep the room. Editing is kind of like the painting process in reverse for me. I can sit down and write a story and lose myself in the writing for hours. It’s almost like I came into a room and painted everything, the furniture, the outlets, the windows and the floor. Then I get to the editing part. It takes careful reading while looking for more than grammar, punctuation and spelling. I’m looking to see how the sentences flow into one another and for inconsistencies from one part to another. I’m removing the furniture from the room. While I’m removing the furniture from the story, I’m red-marking it. Marking down those repeated, misplaced, and auto corrected words. I’m striking out unnecessary sentences and I’m writing full new passages in the margins and when I’m done I’ve done the tape work for my paint job. Then comes the tedious part of going back to the computer and editing the file with the remarks. I highlight as I go to be sure I get everything and finally I have the draft that I feel is ready to give out to readers for their input. My room is painted and it looks great with its new paint. Readers will often give me good advice on rearranging the furniture but the paint job is still there same as it was before I did my reverse pre-work. I just had the chance to do the fun part before the tedious part. It was an experiment that lasted just over a year, but my Android as a writing assistant has now been retired. At least 40% of my writing happens on the go. I am always looking for new ways to take it with me. The difficulties with this is both having a reliable writing platform and updating my original files at home. For the past year I tried using my smart-phone to do the work using a laptop dock that turned my phone into an Android based computer. The theory worked, but it was hard to maintain and sync with my home files. 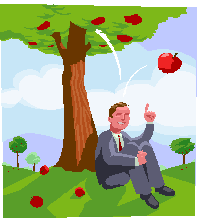 Also, word processing apps for the Android OS are a long way from being seriously useful. I had a love-hate relationship with my Android. I loved the touch screen interface on my phone, however for some shortsighted presumably cost saving reason, Motorola did not give their laptop dock a touch screen. Failure number One. I loved the portability. My phone was always there in my pocket, ready to go and to start writing, I just pulled out my phone and docked it into the specialty laptop and away I went. The weakness in the design was that I had to peel off the phone protector so it could fit in the dock. That gets old quick. Failure number Two. Then there was my hate-hate relationship with all of the word editing applications for Android. None of them can be called a word processor. None of them play nice with Microsoft Word in a natural way and none of them are Scrivener, which is a serious writing platform available for both Windows and Mac, but not for Android. Failure number Three. The smart phone is a revolution in communication devices. Text messages, e-mail, instant chat and good old-fashioned phone conversations are all a breeze on these things. I can keep in touch with the office in real-time via e-mail. However for security reasons, instant email from the office means setting up my phone with data encryption to keep my office safer from hackers. That special encryption really wreaks havoc with file transfers from my phone to my desktop. Now with Windows 8 I have gone back to the PC format for travel. And with the new Skydrive by Microsoft (their next generation for cloud based file management) I can have a copy of my stories on my Desktop and my laptop and both files are kept synced with the master file stored on the Skydrive. I type here and save and the Skydrive updates. I write there and the Skydrive updates. I don’t have to copy or paste or update briefcases or anything else. I just open my files and edit. Plus for safety sake, I have 3 copies of my work. Plus if I have a flash of inspiration away from my personal computers, I can log onto the Skydrive from any internet based machine and edit a file and those edits are automatically synced with my personal computers. My Android is still my communications device. The Star Wars nerd in me considers it to be my protocol droid. And my laptop is back, fulfilling the role of my astromech Swiss army knife of computing. And my writing is re-infused. I can expand on a thought much easier now. At my work-desk, if a thought comes to me, I open the internet and go to the Skydrive. On the go, I can open my laptop/tablet combo and do the same. And at home it all stays current without my having to manually sync or copy files. While the Android experiment in writing mobility ultimately failed, it did help open my eyes to the touch revolution that is changing personal computing. A personal touch has been restored to our devices and I like that kind of evolution.